Kakoschke.Net > travel > Iceland > Is it “icy” in Iceland? Is it “icy” in Iceland? Too bloomin’ right it is! 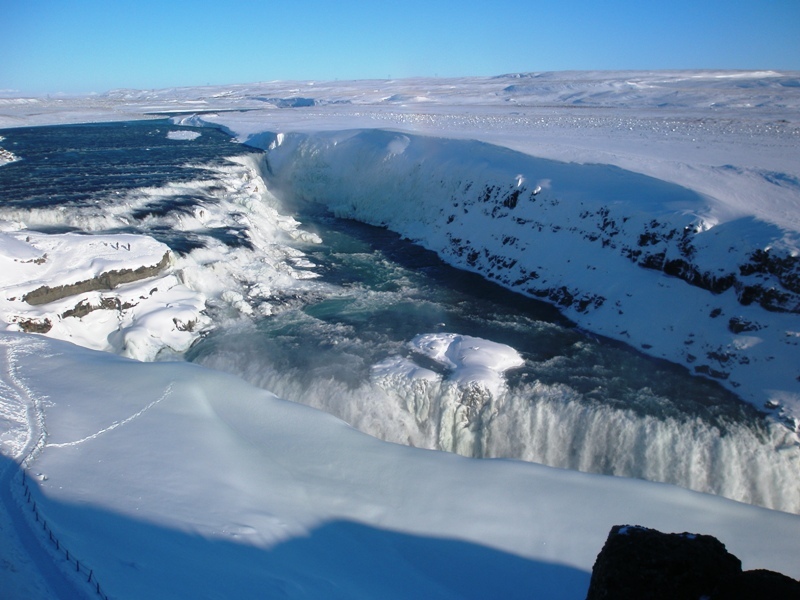 At least we were fortunate enough to experience Iceland in all its ‘winter beauty’ when we visited in February/March. 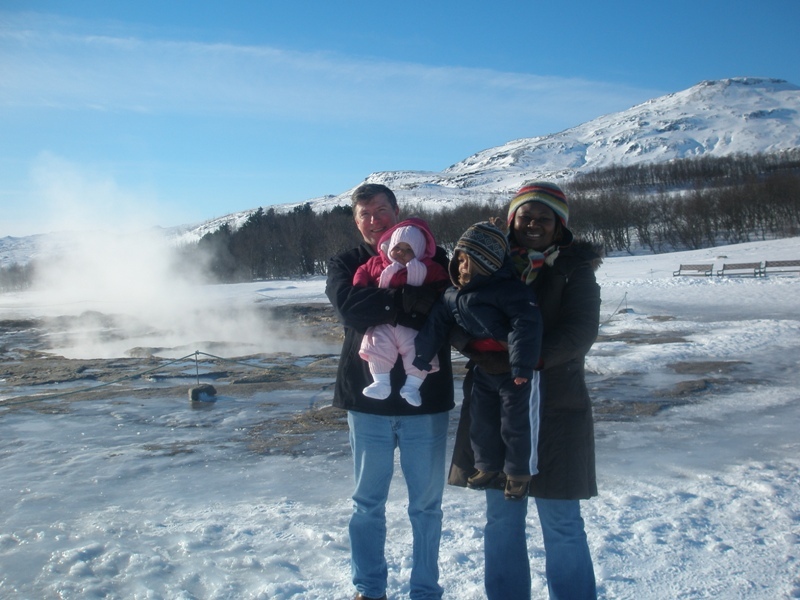 Iceland is not nearly as freezing as the rest of Scandinavia is though (thinking back to Christmas in Finland a few years back!). It’s due to the warm ocean currents I believe. And sometimes by this time of the year, the snow can be nearly gone. But as our BA flight from London descended through the thick cloud layer and finally broke through the bottom on descent into Reykjavik, there was delight on all our faces as we were greeted with white (plus occasional black rocks) as far as the eye could see. A beautiful winter wonderland! Thanks to Zawadi’s excellent navigation skills (she really is very good at finding the way – must be something in her African blood I think), we soon found ourselves headed in the right direction – but with poor Amani and Malaika in something of a state of shock – they’d never experienced below zero temperatures of course living here in Oman. As the Toyota’s heater did its thing though, they soon dozed off to sleep. 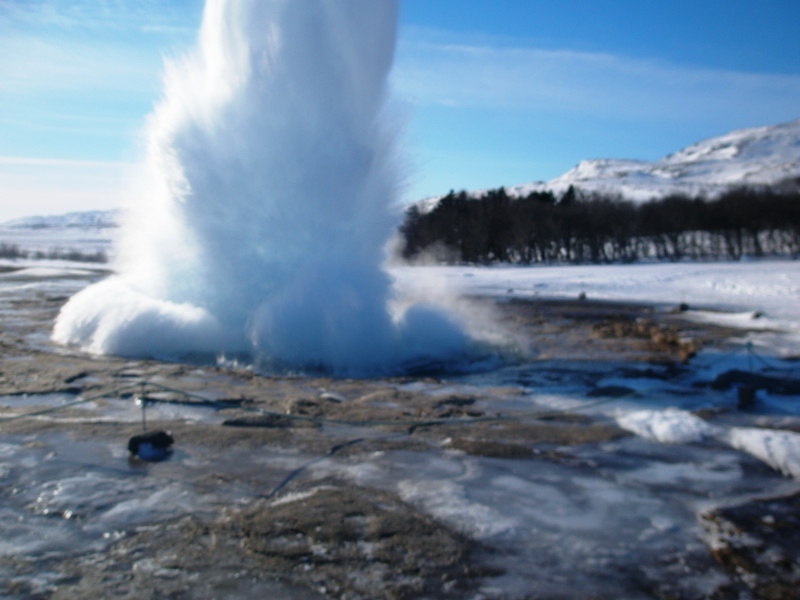 Thanks to the resources available via the internet, I’d booked a privately owned country house near the town of Geysir. 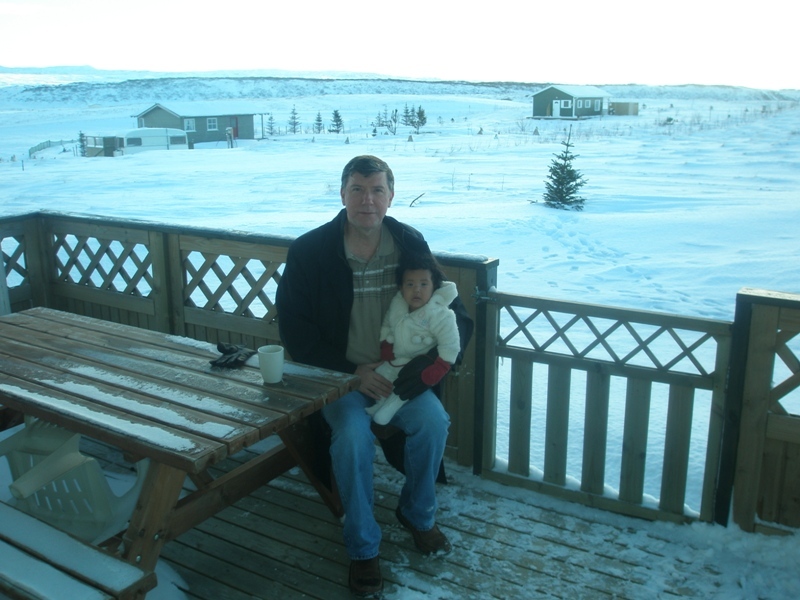 We were delighted when we finally arrived (I had grown somewhat tired of driving on ice). The cottage/house was cosy and spotlessly clean. 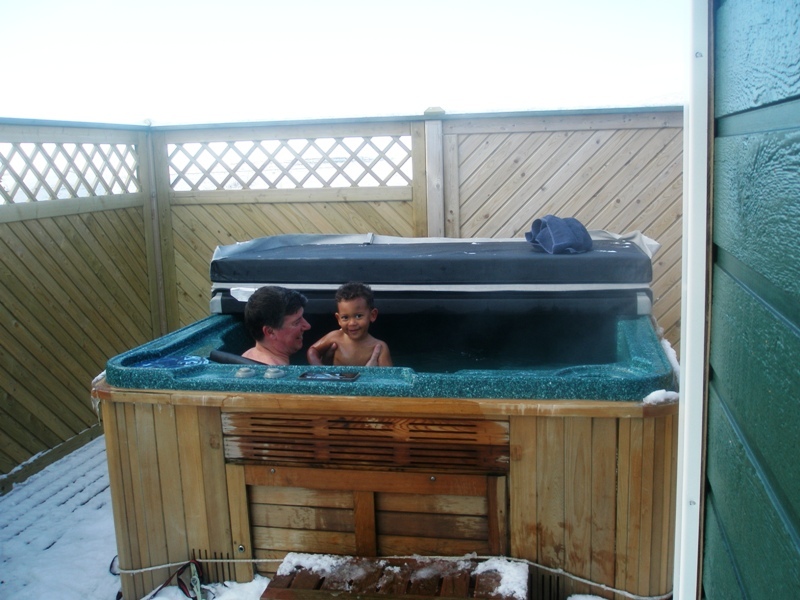 Two bedrooms, lounge, kitchen, bathroom, and, as advertised, a volcanically heated jacuzzi outside on the veranda! Our last night in Iceland was spent in the capital Reykjavik. The drive back into town was absolutely dreadful as a blizzard set in just as we left, and it slowly deteriorated into freezing rain and finally just rain. The wind was howling and the visibility was terrible for driving. We made it into Reykjavik safely though thankfully, but somehow were not left with a very positive impression of the city, mainly due to the constant rain with a temperature only just above zero. Overall, loved Iceland though and would be very happy to go back again one day.